Preheat oven to 325, grease baking sheet. Cream the butter well with electric hand mixer, beat in sugar until fluffy, then add eggs and beat until mixture is light and creamy – add molasses and vinegar, blending well. 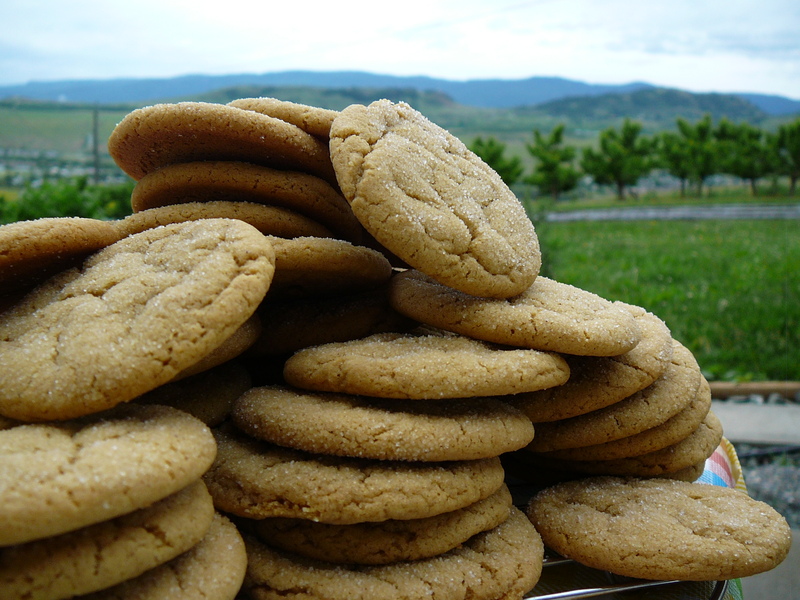 Different brands of molasses vary in color – darker the molasses – darker the cookie! Mix your butter mixture together with flour mixture – nothing like using your (well washed) hands to get in there and make sure it is well blended. Form 3/4 in balls. Press down gently in sugar. Turn sugared side up on greased baking sheet. Bake at 325 for 12 minutes for soft and chewy, a couple minutes more for crunchy. Yield: about 100 small cookies – but go ahead and make them whatever size you like! These cookies were sold for years during Fulton High School basketball tournaments, and returning out of town teams always asked for them! 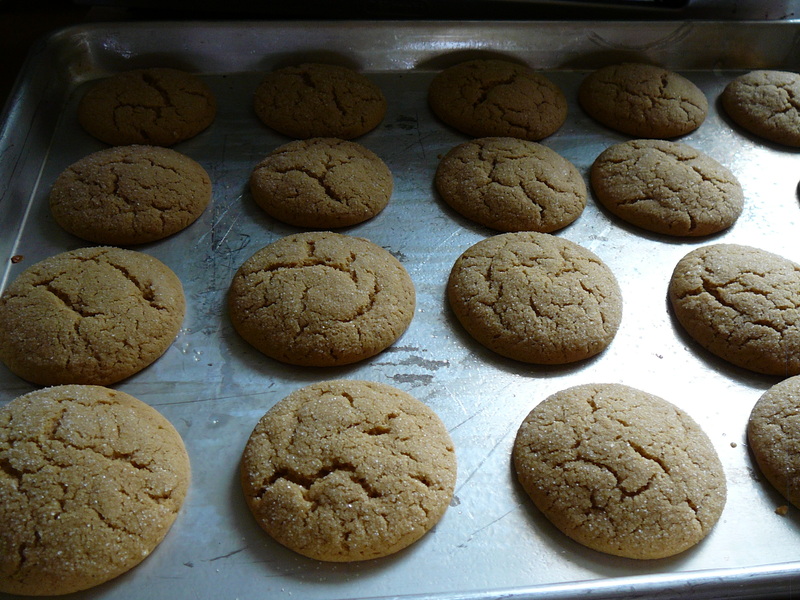 This entry was posted in Baking, Recipes and tagged baking, cookies, ginger, gingersnaps, molasses by Chatty Kathy. Bookmark the permalink.